Africa’s economic boom is being accompanied by a rapid urban growth that is decidedly altering the continent. Approaches to an individual, ecological, and context-sensitive kind of architecture are evolving within these transformative processes. In these changing urban structures, numerous projects aim at making an impact on society. Thus, a large number of building schemes—most of them conceived with the help of the local population—are turning the city into an experimental field for design. Rural planning, on the other hand, is developing traditional local architectural techniques, vocabularies, and materials through technological and stylistic innovations. 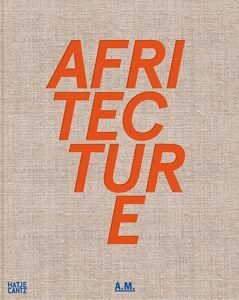 This opulent catalogue features essays by the architectural historian Andres Lepik and others, and presents around twenty outstanding examples of contemporary African architecture south of the Sahara. Alongside interviews with architects, developers, and sponsors, the book provides a comprehensive view of an original, lively architectural culture.